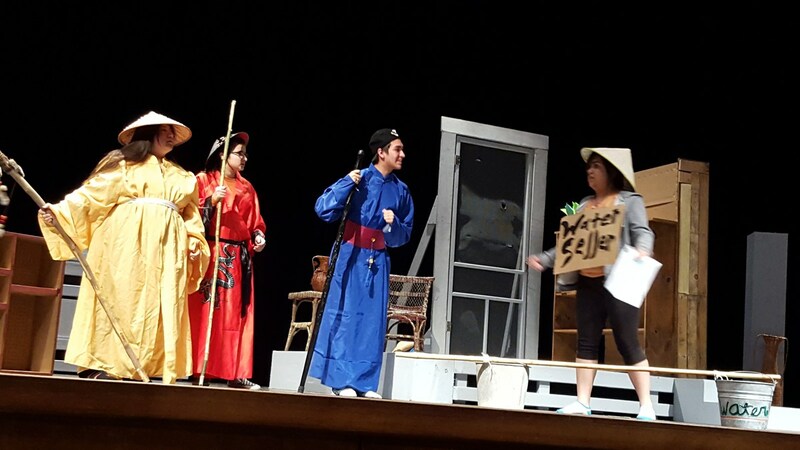 This year our entry into UIL One Act Play competition will be The Good Person of Szechwan. Originally written in German by Bertolt Brecht, we are doing the modern translation by John Willet. Even though Bertolt Brecht's first plays were written in Germany during the 1920s, he was not very popular until much later. His goal was to produce plays that were an alternative to realism that was very popular at that time. It was his idea that man and society could be intellectually analyzed and that is how he developed his concept of "epic theatre" which was very popular in the early 20th century. In response to the political climate of the time, he felt the need to create of a new political theatre. He felt that even though a play will provide entertainment, it should also be capable of provoking social change. He wanted his audiences to adopt a critical perspective in order to recognize social injustice and exploitation and to be moved to go forth from the theatre and effect change in the world outside. Brecht felt that it was the actor’s goal to make the audience feel detached from the action of the play, so that they do not feel sucked into the story or become overly empathetic of the character. Flooding the theater with bright lights (not just the stage), having actors play multiple characters, having actors also rearrange the set in full view of the audience and "breaking the fourth wall" by speaking to the audience are all ways he used to achieve this effect. Acting in epic theatre requires actors to play characters believably without convincing either the audience or themselves that they have "become" the characters. Our team has added so many unique concepts to the play in our attempt to bring you a classical epic theatre production! We hope you come and enjoy the show! The League's One-Act Play Contest, founded in 1927, is the largest high school play production contest or play festival in the world. More than 14,000 Texas high school students in more than 1,000 plays participate in 300 plus contests, which take place from the beginning of March through the three-day, 40-production State Meet One-Act Play Contest. The One-Act Play Contest is supported by more than 200 college and university faculty members serving as critic judges. The League's theatre program is considered by historians to be the foundation of educational and community theatre in Texas. It continues to be a major factor motivating increasing numbers of schools to offer theatre arts as an academic subject.